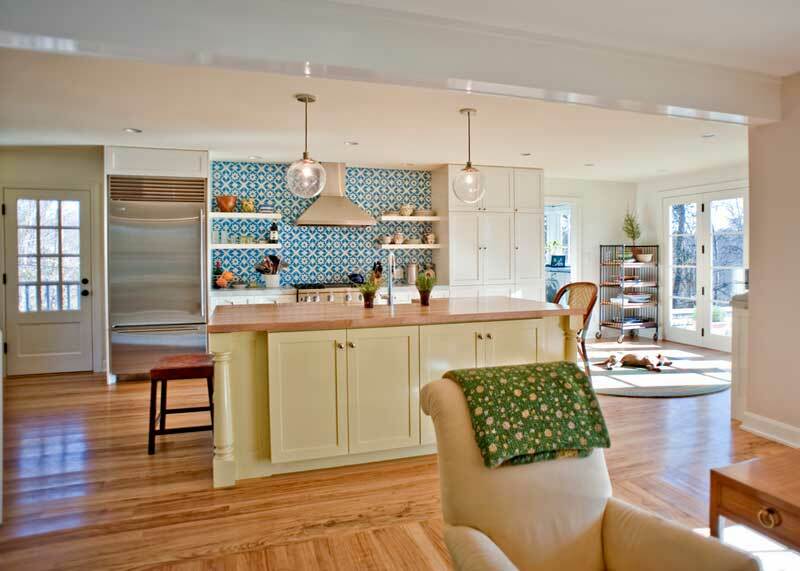 This article is a guest blog post by Anne Del Prince, a Louisville, KY architect specializing in residential projects.  Proportion – Size and shape of a room as it relates to its purpose.  Views and Daylight – A sense of greater spaciousness.  Flow – Moving through areas with efficiency.  Adjacency – Optimal layout of the space.  Materials – Conscious and purposeful selection. This coming Sunday, September 7th, seven different owners are offering to open their homes to the public to show they are pleased with the results of their project, in part because they knew enough to hire an architect from the start (more on this event at the end of this article). The help we architects offer is a trained and objective eye. That means we will listen to what you are looking to accomplish when all is said and done; we will objectively access the spaces you already have, then figure out how to best modify what you already have to get what you want before adding more space. We will talk with you at length about how you live and move through your home, and how many people the spaces need to serve. Our training is very abstract, and might be a bit difficult to explain, but the end results are very noticeable and recognizable. As it is, most people know when they feel comfortable in a room, and they know when they are not. Our abstract training is about that very thing. We architects go to school to articulate and realize what those factors are. The first factor leading to comfort is the size and shape of a room as it relates to its purpose, also called proportion. For example, while preparing a meal in the kitchen, we will get tired if we have to take four or five steps each time we want to get to the refrigerator or oven or sink or the pantry. On the other hand, we’d feel cramped if we could not take two or three steps to get to a dresser in the bedroom. Click to enlargeAnother example is the importance of views, windows, and natural daylight in a space. When we can look outside – have a long distance view – our eye becomes rested and relaxed. If we can look into the next space (however much or little) we will get a sense for the greater spaciousness of the house, even if the adjoining room is not large. Natural daylight in a room is more pleasant than having to depend on artificial light. We can turn off the lights more often, therefore saving electricity by taking advantage of the natural light coming in. A third example is flow. It certainly matters but may be a bit more difficult to explain. Good flow in a house makes you feel like you are moving through the house with efficiency. While moving through a house, if you realize you have to watch where you are or have to move around something to avoid hitting it, chances are the flow can be improved. I always think of the kitchen where I had to slow down to walk around a peninsula to move into the dining room, and had to keep my hip from hitting the corner of the peninsula. That flow can be improved. Then there is the idea of proper adjacency, or what rooms are next to each other. For example, this same house had a long hall to take you to the bedrooms. It was so long we made a game to run down the hall, bounce into the end wall and slide through the kitchen. Or, going into the other direction, I have three sisters and a brother. One Sunday morning, the four girls were sitting on a bed talking and my brother – in all his antagonistic glory – ran down that long hall full speed and dove onto the bed where we were sitting…and broke the bed. The plan of the house could have easily been arranged to avoid such a long hall. There is no architectural excuse for my brother’s behavior. Hopefully, you get my point…proper room adjacency matters in the comfort and use of the home. An architect knows how to work with these very abstract factors. This is only the first layer of design. After the spaces are laid out suiting the needs, then you go back to determine the next factor, lighting. Yes, an architect can design a good lighting layout. There is task lighting, general illumination, accent lighting, safety lighting, and more. Lighting (when the sun goes down) makes a big contribution to the comfort and usability of the space. A third pass in design develops the size of trim, the materials used, type of door, quality of hardware…so many things that help increase the comfort and usability of the space. The owner has input in all of this. With the architect offering the pluses and minuses, choices made are conscious and purposeful. The very good thing about the process of using an architect is that all this is decided before the contractor gets the drawings. The process of construction can unfold more efficiently and quickly. The contractor doesn’t have to wait for decisions to be made. He/she can order the long lead items earlier. Using an architect is time savvy and cost savvy. The product is composed, balanced and beautiful. To see examples of architectural design in action, you are invited to participate in the AIA House Tour, Sunday September 7th from 11am to 7pm. Tickets are $15, and can be purchased at each house. Proceeds will be donated to Habitat for Humanity. Step inside each house and be more aware of how you feel in the spaces and how you move through the spaces.